We provide state-of-the-art treatment in a supportive environment designed to promote both patient and family well-being. The Pediatric Neurosurgery Center at Children’s Hospital at Montefiore (CHAM) offers a local, regional and national alternative for exceptional care. 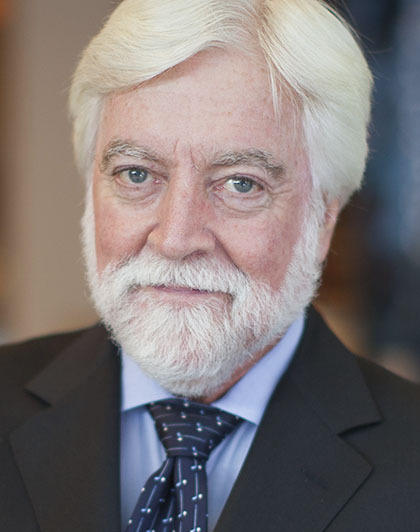 Our team of cross-disciplinary specialists is world-renowned for its expertise in care and research. The center also holds national and regional recognition by U.S. News & World Report. 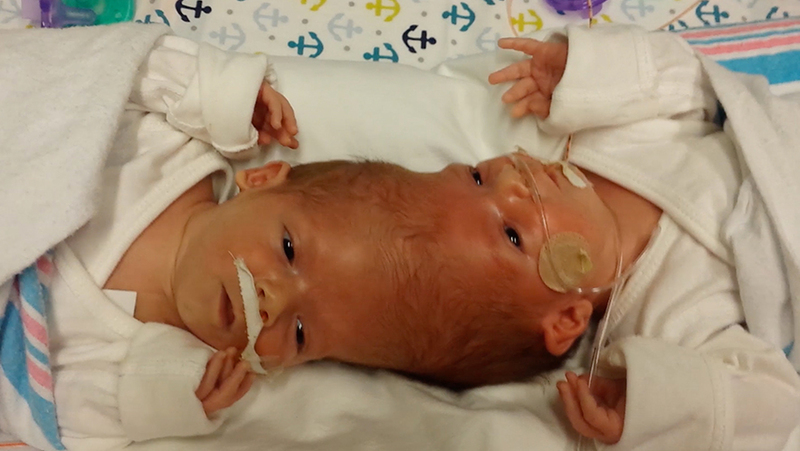 In 2016, through a complex series of surgeries, conjoined twins Jadon and Anias McDonald, craniopagus twins conjoined at the head with brains intertwined, were successfully separated at CHAM. Using virtual planning and 3-D printing technologies to map their way through the boys’ attached brains, CHAM surgeons prepared for months in advance. 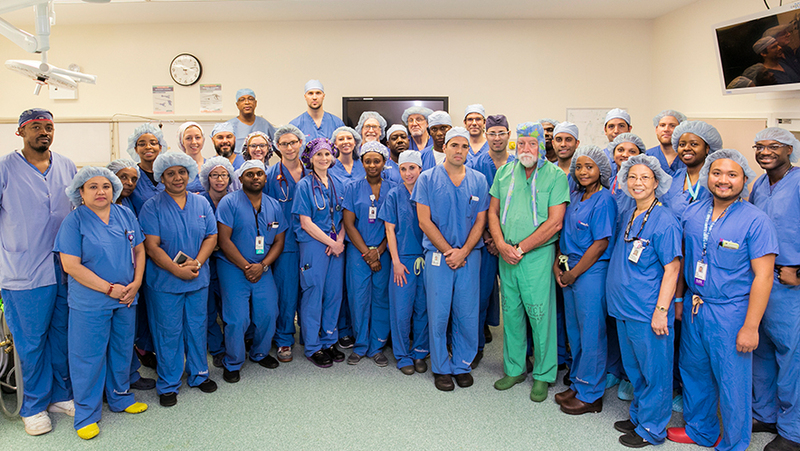 The team, comprising more than 50 specialists across twelve disciplines performed four surgeries over nine months to separate the delicate web of veins and vessels, skin and bone that the boys shared. The boys have made a strong recovery and continue to show tremendous progress as a result of the separation. Above: The McDonald twins shortly after they were born. Top banner: Jadon and Anias a year after a series of surgeries to separate them. 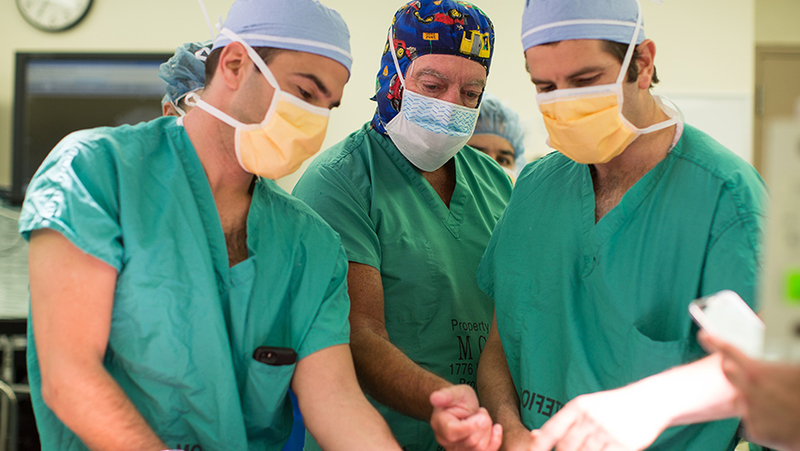 Dr. James T. Goodrich led the surgical team, and Dr. Oren Tepper led the reconstructive portion of the boys’ care. 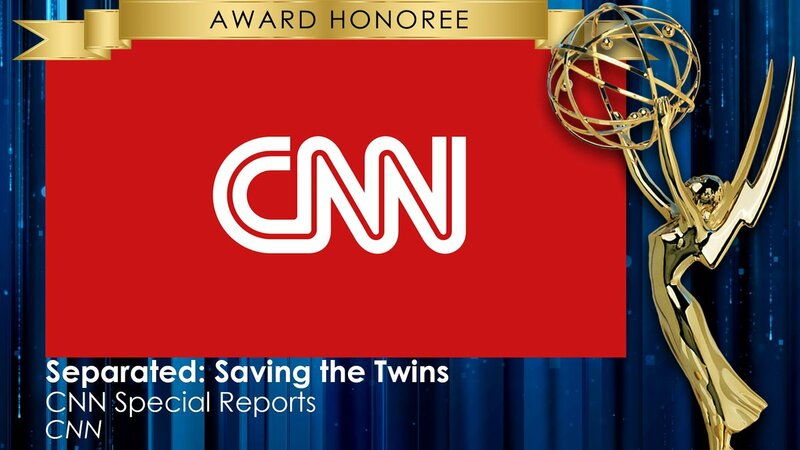 The Emmy award-winning CNN film Separated: Saving the Twins takes viewers inside CHAM to meet the team who performed the historic 27-hour-long final surgery that separated the McDonald twins. This emotional film shares the journey of the twin boys, their family, and the heroic staff that worked around the clock on this historic surgical success story. 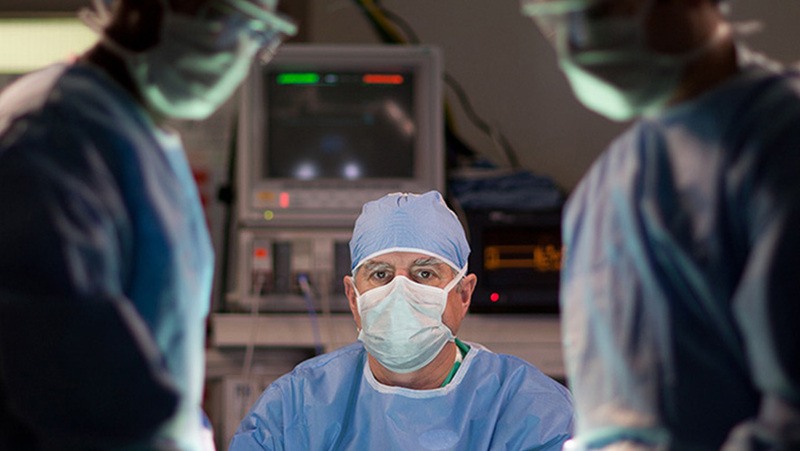 Our surgeons have a combined experience of more than 60 years and, directly through their education and training, were integral in establishing the specialty of pediatric neurosurgery. 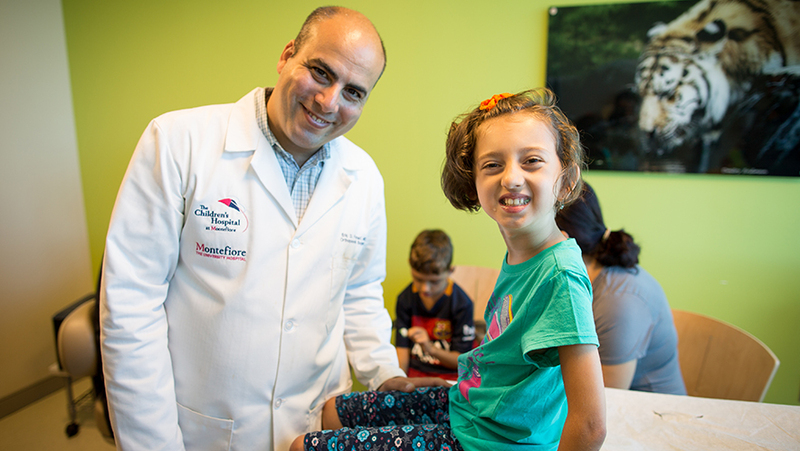 The Pediatric Neurosurgery Center holds a deep responsibility for the future of its young patients and provides state-of-the-art treatments as part of the center's offerings. We also work with our partners at CHAM to provide an environment that supports our patients and their family’s well-being. Our Craniofacial Center specialists compassionately deliver surgical and nonsurgical correction of skull and facial deformities. We helped pioneer the practice as one of the original centers in North America. The repair of craniofacial abnormalities is a collaborative effort between a team of pediatric neurosurgeons and specialized pediatric plastic surgeons. Through our Function Center, we provide centralized treatment of neuromuscular disabilities, creating a regional resource that provides care to a growing number of children and adults afflicted with cerebral palsy, spina bifida, stroke and/or nerve injuries. The function clinical is a multidisciplinary group committed to restoring function to normal or near normal levels in children with a variety of neurological disorders. 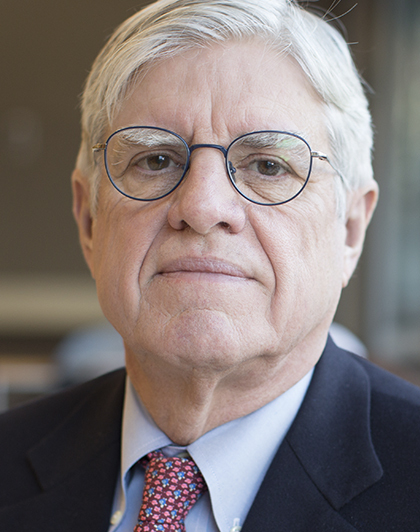 A condition commonly treated by neurosurgeons, hydrocephalus can often become a complex condition due to treatment response malfunctions and associated ailments like headaches. Our Pediatric Neurosurgery Center has earned a regional reputation for its exceptional ability to treat and manage these complications. The Adam Gaynes Pediatric Neuro-oncology Program at CHAM treats children with complex nervous system tumors. It is one of the largest programs of its kind in the region, frequently sought out by others to develop treatment plans for children and adolescents due to our level of expertise and preeminent position in the field. Pediatric neuro-oncology has experienced tremendous advances leading to vastly better outcomes than was previously possible. The treatments employ a team of specialists in pediatric neurosurgery, pediatric oncology and radiation oncology to provide the most current treatments in the family- and child-friendly environment of the only dedicated children’s hospital in the New York metropolitan area. Our program employs a multidisciplinary collaboration of talented surgeons, physicians, nurses and other specialists to help understand and successfully treat nervous system illness and conditions afflicting children. Our Pediatric Neurosurgery team treats a variety of conditions, a selection of which you will find listed below. In addition to these, we have experience in treating many other conditions. Please contact us today to schedule a consultation so that we can review and discuss your specific healthcare needs. Treatment plans are designed to maximize our patients’ care. For those seeking further information, we have included a few examples of the treatments we offer at the Pediatric Neurolosurgery Center. Montefiore embraces a collaborative approach. please contact us at 718-920-7400.